In my mind I'm having to redefine which books I'd rescue from blazing bookshelves and I will need to assign a hunky firefighter to gather up the sentimental armful, whilst I dash round for the essential armful.Bookhound will be far too busy with his own hoard to worry about mine.Here's one for the firefighter, a very treasured book, What Katy Did by Susan Coolidge. 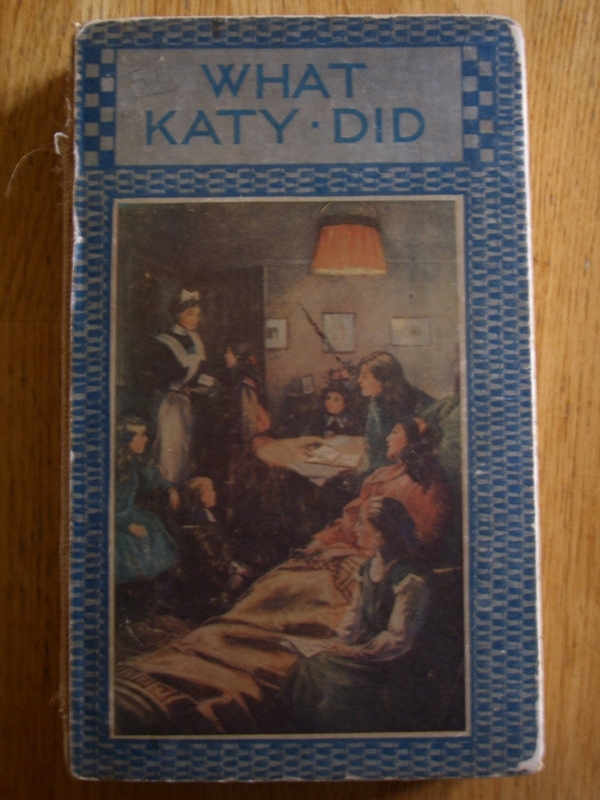 This was my mum's copy and look at that,surely a thwarted librarian resides within? All my books were given tickets and numbers. I loved Katy and Clover,Cousin Helen and Aunt Izzie but the most memorable has turned out to be Imogen. You know how as a child you read and pronounce and assume you have it right? Well I decided on the very first of many readings that this was pronounced Imogen with a hard "g" (Imowgen) and that was that.I said it that way for years and no one put me right until I was about 18. "shoes and trousers and clothes generally, were Aunt Izzie's affair; theirs was to slide and enjoy themselves"
"there were always so many delightful schemes rioting in her brains, that all she wished for was ten pairs of hands to carry them out".Plus ca change. Sitting on my shelves I have a recent book What Katy Read: Feminist Re-Readings of 'Classic' Stories for Girls by Foster and Simons. 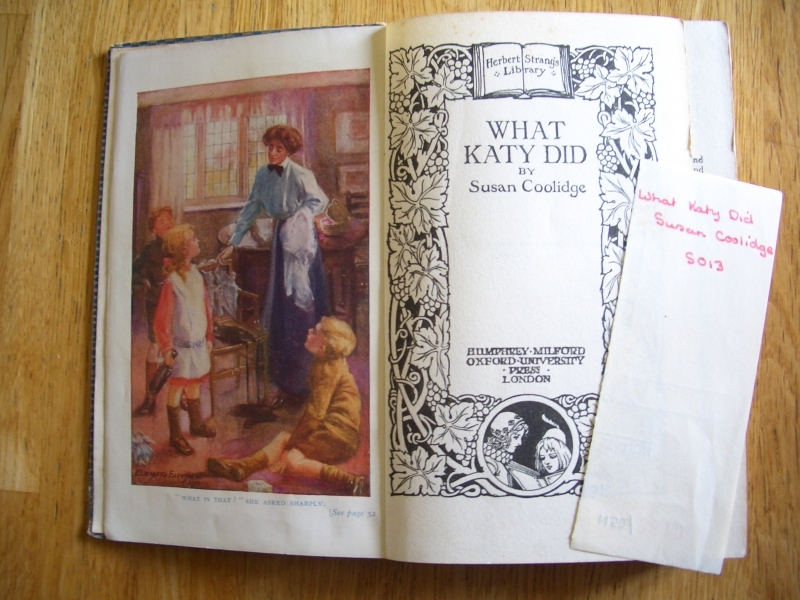 Brillant to read I'm sure when the mood or the dissertation takes you, but right now no thank you.I just want to remember the Katy I know and love and Imogen of course.